First, thanks for stopping by my little piece of the internet. I’m grateful to have you here, and encourage you to get involved. Don’t hesitate to send an email, or leave a comment. And I’m always interested to hear opportunity pitches or collaboration requests. 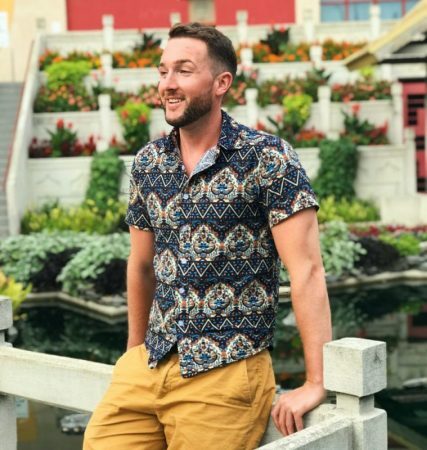 I’m a mid-to-late 20’s Canadian living in China, teaching English while aggressively pursuing financial freedom & trying to see as much of the world as possible. Growing up in small town just outside a large Canadian city, I hold a mix of city and country morals. I was raised to be conscious of money and spending, and to work hard for what I want. I imagine I was always destined to fall in love with personal finance. Much of my childhood was spent camping, in the forest and around lakes, I have to attribute that to my love of travel and exploring. I began reading for fun, playing sports and working out at a young age, so personal development has always been important to me. These are all topics of which you will find articles on here. I studied business and psychology in university. In these formative years I ventured down some dark paths but thankfully found my way out before graduating with a Bachelors of Business & Administration. My professional background is a variety of sales positions, while also working many side gigs along the way. Since then I’ve discovered my love of entrepreneurship and have ambitions of success and financial freedom. In 2016, I found my tires spinning and decided to flip my life upside down and move to South Korea to teach English. It was right around this time where I discovered FIRE (Financial Freedom, Retire Early). Pursuing financial independence and living abroad have been the best decisions I’ve ever made. This blog is a document of my journey. This blog was born of me having some extra time while I was living abroad teaching English in South Korea between 2016 and 2017. I’ve always enjoyed writing, and I’m hoping to use this blog as a way to communicate my knowledge on person finance, world travel, teaching English abroad, personal development and more. You will find many articles regarding personal finance and investing here. They range from anecdotal experience to tips and advice I’ve found important through experience and research. I am super passionate about wealth creation, financial freedom and all forms of investment. Also expect to read posts related to world travel. Experiences I’ve had in different countries and cities, as well as maybe some travel tips. I’ve done a decent amount of travel and have no plans of stopping anytime soon. I currently make my living teaching English to Asian kids. Both online and in the classroom (previously in South Korea, now Shenzhen, China). With years of experience working around Asia and for different types of schools and ages of students, I now help people find jobs in China, South Korea, or teaching English online. People do not hesitate to contact me if you would like to start teaching ESL. You’ll find many articles related directly to teaching ESL. In many posts I will use teaching as a metaphor or analogy. Finally; health, fitness and living well are the foundation of a good life. So topics of reading, personal development, and training will also pop up occasionally. Anything to do with generally becoming a better human being. Thanks again for being here. Like I said, don’t hesitate to contact me. And if you found something I wrote particularly interesting, give it a share!